PureNet conceptualised, designed and developed a bespoke portal for one of the UK's largest charities, The Royal British Legion, to underpin its annual Poppy Appeal. 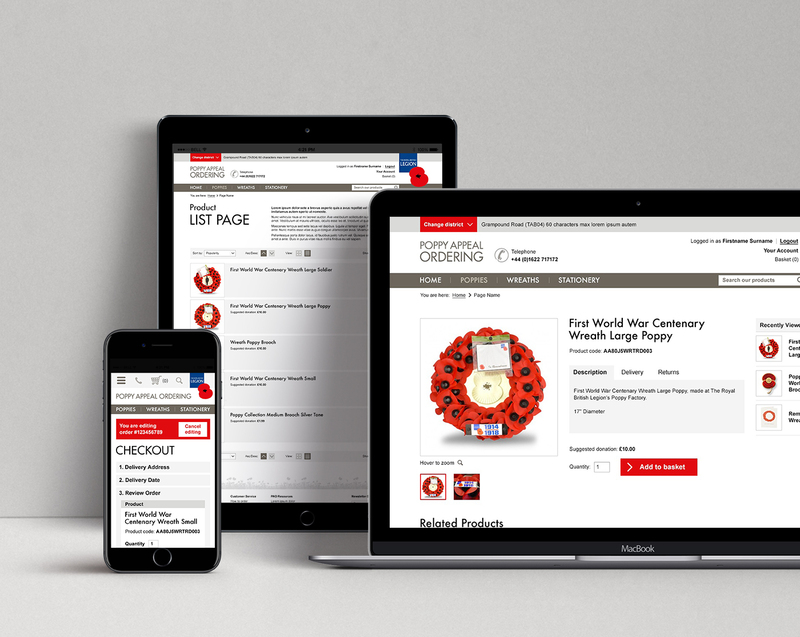 The Royal British Legion required a partner to deliver a bespoke portal for its annual Poppy Appeal, to replace the current paper based, labour intensive process with a robust, secure Magento solution. The portal was required to focus on usability and user experience to ensure it could be navigated quickly and efficiently by The Royal British Legion's range of users. The portal solution required an extremely high level of performance especially during seasonal large volumes of traffic accessing and ordering via the site. The portal required integration into the fulfilment system including stock levels, order statuses and cancellation support. 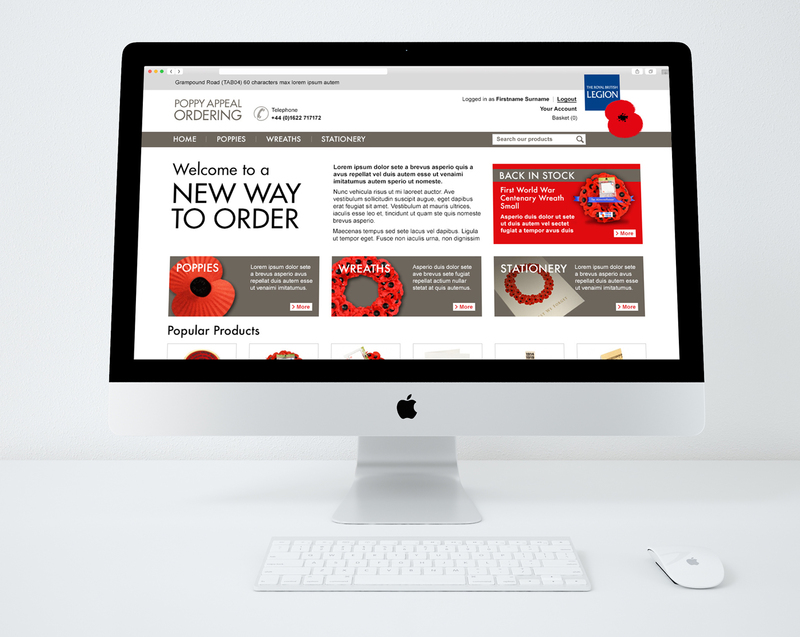 The portal solution for the Poppy Appeal was launched in time for peak trading season, where the entire ordering process was moved online. The Royal British Legion are now looking to Phase 2 of the project where the Poppy Appeal portal would be open to the general public including donation support. “It has been a priority for The Royal British Legion to update its Poppy Appeal ordering process for a number of years. The old process was paper-based and therefore time consuming and at risk of errors. We selected PureNet for its years of experience in developing bespoke systems, and the team’s understanding of our specific requirements. PureNet designed a solution that perfectly fit the needs of our audience, offering best practice responsive design with a focus on usability. The feedback from our Poppy Appeal Organisers has been fantastic. The system is easy to use, performs extremely well, even during peak times and the responsive design means our Poppy Appeal Organisers now have the freedom to place an order on any device, at any time. Claire Rowcliffe, Assistant Director of Poppy Appeal, The Royal British Legion. The Royal British Legion's ordering portal is used by over 3,500 Poppy Appeal Organisers (POAs). The Poppy Appeal, underpinned by the new ordering portal, is responsible raising in excess of £35 million a year. The Royal British Legion's Poppy Appeal ordering process is now 100% automated. Supported across 7 different browser types for ultimate usability and accessibility.